by AP -- Lebanon’s prime minister has had a heart procedure in a Paris hospital and is expected to be discharged the same day. Saad Hariri’s office says the 48-year-old underwent an hour-long angioplasty procedure, used to treat blocked arteries, on Monday. Hariri’s personal physician, Essam Yassin, says the prime minister is well and describes the procedure as a “preventive” measure. He says Hariri will return to his home in Paris later Monday. Hariri has been Lebanon’s prime minister for three separate periods since 2009. He is now presiding over his third Cabinet, after being named premier again in February. His father, Rafik Hariri, a business tycoon who also served as Lebanon’s prime minister, was assassinated in 2005.
by www.hrw.org -- (Beirut) – Emirati authorities detained eight Lebanese nationals for more than a year without charge in an unknown location, ill-treating them and denying them their due process rights, Human Rights Watch said today. Their trial, which began on February 13, 2019, continues to be marred with violations. The third session is set for March 27. Family members told Human Rights Watch that the defendants, who face terrorism charges, have been held in prolonged solitary confinement and denied access to their families, legal counsel, and the evidence against them. At least three detainees told family members that state security forces forced them to sign statements while blindfolded and under duress, and one said they forced him to sign a blank paper. “The UAE authorities reveal in their treatment of these men just how unwilling they are to reform their unjust state security apparatus,” said Sarah Leah Whitson, Middle East director at Human Rights Watch. “These men deserve, at the very least, to be treated humanely and to receive a fair trial.” The men – all of whom are Shia Muslims – have each lived and worked in the UAE for more than 15 years. Seven worked at Emirates Airlines as flight attendants, pursers, or senior managers. Family members said that none had any known political affiliations. State security forces arrested one defendant between December 2017 and January 2018, three defendants on January 15, and four others on February 18, and continue to hold them in solitary confinement without access to legal assistance, family members said. At the second session of their trial, on February 27, 2019, the prosecutor charged them with setting up a terrorist cell with links to Hezbollah in Lebanon. Hezbollah holds several key positions in the Lebanese government, yet is designated a terrorist organization in the UAE. Family members said that at least seven of the men still have not been able to meet with their lawyers and six remain in solitary confinement. All of the defendants deny the charges, family members who attended the hearings said. By BASSEM MROUE | Associated Press -- BYBLOS, Lebanon – U.S. Secretary of State Mike Pompeo and his wife Susan spent much of the second and last day of their visit to Lebanon touring historical churches and a centuries-old citadel in this coastal city Saturday. The tour in Byblos and a nearby village came a day after Pompeo blasted the militant Hezbollah group and called on the Lebanese people to stand up to its "criminality." ourslong tour. Pompeo began his day by visiting the site where a new U.S. embassy compound is being built then drove to the village of Behdaidat northeast of Beirut where he visited the 13th century Mar Tadros, or St. Theodore church. The State Department awarded a $44,000 grant through the Ambassador's Fund for Cultural Preservation to support the conservation of the church. Later, he visited two other churches in this coastal city renowned for its ancient Phoenician, Roman, and Crusader ruins where he was greeted by priests who briefed about the history of each church. The last site to be visited in the ancient city was the Byblos Citadel built by the Crusaders. Pompeo toured the citadel as Tania Zazen, director general of antiquities in Byblos, accompanied him recounting the city's history. In 2011, the State Department awarded a grant $93,895 to support the conservation of the main tower of the 12th century citadel at the archaeological site of ancient Byblos, a World Heritage site. The delegation afterward went to a restaurant by the Mediterranean where they had a meal of cold and hot authentic Lebanese dishes, known as Mezza, and grilled lamb chops and chicken. Pompeo also met Lebanese Armed Forces commander Gen. Joseph Aoun and Beirut Metropolitan of Greek Orthodox Archbishop Elias Audi. "Spoke about the importance of protecting and defending religious diversity and opportunity" with Bishop Audi and how they enrich every country," Pompeo tweeted after the meeting. Around sunset, his plane took off back to the U.S. ending a Mideast tour that also included visits to Kuwait and Israel. by naharnet - U.S. Secretary of State Mike Pompeo on Friday urged Lebanon to pick a side as he visited the country on a regional tour to build a united front against Iran. He especially expressed concern over the role of Hizbullah, an Iran-backed movement that is targeted by U.S. sanctions but holds three cabinet posts in Lebanon. "Lebanon and the Lebanese people face a choice: bravely move forward as an independent and proud nation or allow the dark ambitions of Iran and Hizbullah to dictate your future," he said during a joint news conference with his Lebanese counterpart Jebran Bassil. "The U.S. will continue to use all peaceful means, everything at our disposal to choke off the financing, the smuggling, the criminal network and the misuse of government positions and influence," by Hizbullah, he said. "We will not hesitate to call out those who actively and passively support those activities," he added. Pompeo also accused Hizbullah of being an obstacle in the face of the Lebanese people's dreams. “We believe that our work is already constraining Hizbullah's activities and we will continue to support Lebanon and its people,” Pompeo was quoted as saying during the press conference. “It will take courage for Lebanon to stand up to Hizbullah's criminality, terror, and threats,” he added. Pompeo also accused Hizbullah of putting Lebanon on the frontlines of Iran's proxy campaigns and of “stealing” the Lebanese state's funds. "How does stockpiling tens of thousands of missiles in Lebanon territory for use against Israel make this country stronger?" asked Pompeo, referring to Hizbullah's arsenal that the group boasts can strike any part of Israel. 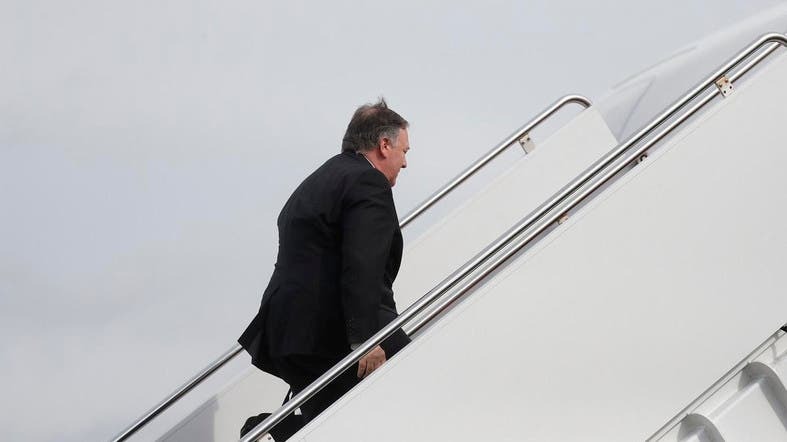 "Hizbullah and its illegitimate militia put the entire country on the front lines of Iran's misguided proxy campaign," Pompeo added. by thehill.com --Saudi Crown Prince Mohammed bin Salman launched a covert campaign to silence dissenters more than a year before the killing of journalist Jamal Khashoggi, the New York Times reported Sunday. American officials with knowledge of classified reports told the Times that the group of operatives which killed and dismembered Khashoggi in the Saudi consulate in Istanbul in October carried out several other missions against dissidents. According to the officials, who called the group the Saudi Rapid Intervention Group, members of the team were involved in at least a dozen operations starting in 2017. Missions included forcibly repatriating Saudis from other Arab countries and detaining and abusing prisoners, the Times reported. by thearabweekly.com -- By Samar Kadi-- Recent studies indicated that most shisha smokers in Lebanon are women and young Lebanese are among the heaviest shisha smokers in the world. - “It is a nice pastime, especially when we sit with friends in cafes, chatting while having a smoke,” said Nada Cherif. Cherif said she was never enticed to smoke cigarettes but she is a regular user of nargile — also known as shisha, hookah or water pipe — which has become an epidemical trend in Lebanon. Cherif insisted that she is not a tobacco addict. “I have friends who smoke the nargile more than once a day and alternate with cigarettes,” she said. Lebanon has been ranked among the world’s highest tobacco-consuming countries in recent years. In 2015, a report by the World Health Organisation (WHO) put Lebanon third for the highest cigarette consumption per capita. “It is no surprise that we have the highest cancer rate in the region,” said Nadine Chatila, director of communications at the American University of Beirut Medical Centre (AUBMC). “The problem is that indoor smoking is allowed in many public places. Shisha is easily accessible and you can even have it delivered to your home at a very cheap price." AUBMC’s cancer department estimates that 8,000 cases of cancer are reported in Lebanon annually. Dr Nagi Saghir, professor of haematology-oncology and director of the breast cancer centre at AUBMC, has stated that cases are divided equally between the sexes and that, among the 4,000 cases of cancer in women, 1,700 are breast cancer. Oncologist Dr Joseph Makdessi noted that cancer prevalence has risen globally, not only in Lebanon, with lung cancer being the most common type of the disease. “Almost 90% of lung cancer cases are related directly to smoking,” Makdessi said. “Among females, cases of breast cancer are the highest, whereas prostate cancer is the most common among men.” While smoking could be one of the main causes for lung cancer, other factors are relevant for the increase in cancer cases, Makdessi said. by arabnews.com --BEIRUT: A Lebanese citizen imprisoned in Iran, Nizar Zakka, announced in a message he sent from Tehran’s Evin prison that he will run for the by-election to fill the vacant Sunni seat in the district of Tripoli in northern Lebanon. Zakka, an information technology expert, was kidnapped in September 2015 on his way to Tehran airport after having accepted an invitation from Iran to attend a scientific conference. He was a permanent resident of the US, where he served as secretary-general of the Arab ICT Organization in Washington. Iranian authorities have accused him of “spying for the US.” Zakka pledged in a message distributed by his family and lawyer to be Lebanese voters’ “loud voice in Parliament, and the voice of every ordinary citizen who has lost his right in a state that knows no justice.” He wrote that the Lebanese state had conspired against him when he was kidnapped and “detained in one of the most appalling prisons in the world.” He added: “For four years, I have been living in an underground grave between sewers and rats.” Zakka saluted Prime Minister Saad Hariri and the parties, civil society organizations and personalities that have supported him and his cause. “Not a day goes by while I am in prison that I do not remember Mohamad Chatah, and I am sure that had he gotten invited to Iran and responded to the invitation, he would have met the same fate,” Zakka wrote. Chatah, a Lebanese politician and economist, was assassinated in 2013 by a car bomb in Beirut. He was born in Tripoli, served as finance minister in 2008, and was among the most prominent advisers to Hariri’s Future Movement.